QA-Deluxe 4800 is the highest quality of any of the mid-range whole house fans on the market. QA-Deluxe 4800 offers a light weight heavy duty solid aluminum housing that will not distort, dent or fracture with oversize mounting brackets for the motor that prevents motor and fan blade shifting. Higher quality acoustical tube and fully riveted back draft damper. We just don't stand behind our product we can stand on it. Option of On/Off Remote Control, Two-Speed Remote Control, or HI/LOW Wall Switch & 4-Function Digital Timer. Acoustical Ducting for Quieter Operation. Gravity Damper Keeps Air From Entering The Home When System Is Not In Use. Heavy Duty Mounting Brackets Keeps Damper Off Drywall. Heavy Duty State of The Art Spun Aluminum Fan Housing Will Not Weaken Over Time. Easy Installation. No Framing Required. Fits between 16″ & 24″ On-Center Joists. QA-Deluxe 4800 Whole House Fan System comes complete with a FREE 2-Speed Wall Switch/5 Function Timer or Single Speed Remote. Please call 888-849-1233 when ordering to choose FREE Control option. We just don't stand behind our product we can stand on it. I opted for a self-install Quiet-Air 4800 fan which is pretty quiet - much quieter than the cheaper old, traditional horizontal attic fans. I installed with the included two-speed wall switch/timer. So, how does it work - answer great! my 1900sf mountain home is easily cooled on the low fan setting. I seldom use the high setting. Installation was straight forward. 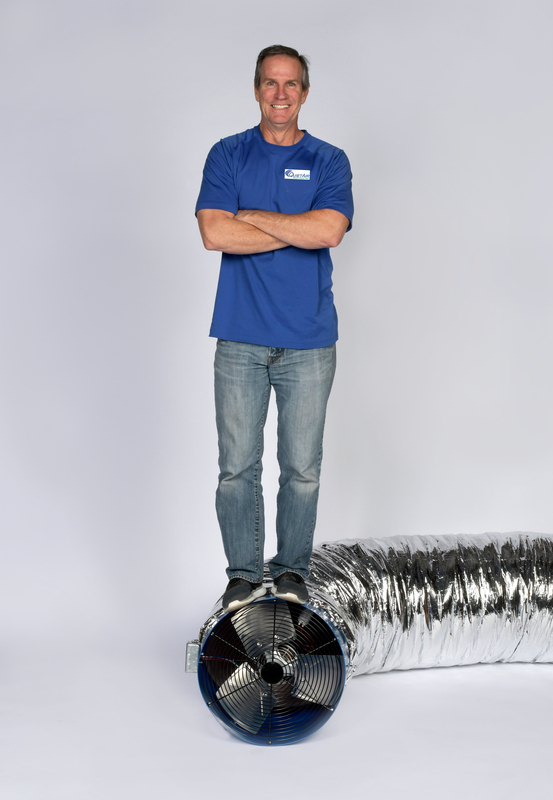 Quiet-Air's kit supplied virtually everything needed for the install. I was really impressed with this whole house fan and it remains energy efficient. For all the cool air these pump out. Works great for larger rooms, hallways, and smaller houses or apartments. It's doubly ideal for apartments because it runs so quietly. There won't be any disturbing the neighbors, and you don't have to violate the terms of your lease for installation. I have compared all the mid-range fans on the market and I bought a QA Deluxe and it performs great. I have a 3000 sq ft home and want a mid range fan. I compared the Quiet Cool and the QA Deluxe and found it a better fan and damper box. Very happy with my choice.